Išanalizavus 57000 vyresnių nei 50 metų šlaunikaulio kaklelio lūžimą patyrusių pacientų ligos istorijas nustatyta, jog regioninė anestezija šiek tiek sumažina mirties riziką ir sutrumpina stacionarizavimo laiką. 28 proc.pacientų taikyta regioninė anestezija, o 72 proc. - bendrinė. (HealthDay News) -- Hip fracture surgery patients who are given regional anesthesia have a slightly lower risk of death and a slightly shorter hospital stay than those who receive general anesthesia, a new study shows. Regional anesthesia involves delivery of anesthesia directly to the affected part of the body without putting the patient "to sleep." Researchers analyzed data from nearly 57,000 patients over age 50 who had hip fracture surgery in New York State between 2004 and 2011. Of those patients, 28 percent had regional anesthesia and 72 percent had general anesthesia. The death rate after 30 days was 5.3 percent for regional anesthesia patients and 5.4 percent for general anesthesia patients, which is not statistically significant. The average length of hospital stay was six days for regional anesthesia patients and 6.3 days for general anesthesia patients. The findings were published June 24 in the Journal of the American Medical Association. Recent guidelines have called for increased use of regional anesthesia. In a related study published June 23 in JAMA Internal Medicine, the same team of researchers found that hip fracture increases nursing home residents' risk of death and disability. 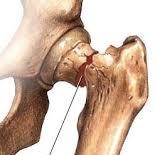 About 300,000 hip fractures occur each year in the United States. They are twice as common among nursing home residents than among other seniors. "This is a problem that is likely to become progressively more important as the population ages," Dr. Mark Neuman, lead author on both studies and assistant professor of anesthesiology and critical care at the Perelman School of Medicine at the University of Pennsylvania, said in a university news release. The U.S. Centers for Disease Control and Prevention has more about hip fractures.